James Quigg was the third generation of the Quigg family to lead Richmond Baking. 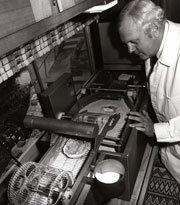 He was President of the company for almost 35 years before “handing over the apron” to his son Bill. In 1969, Jim took over as President upon his father’s death. Jim’s leadership was influential in making large-scale changes at the company. He authorized on-site storage and warehousing modifications, expanded the company’s product lines and negotiated a country-wide expansion with the opening of new plants in Georgia and Oregon. Jim’s legacy will continue be passed along through the Quigg Family for generations to come and Richmond Baking Company will be forever grateful of his wisdom, leadership, and guidance. 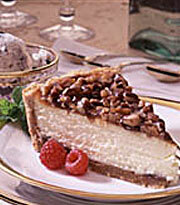 In 1855, David Hoerner opened a bakery in Richmond Indiana. 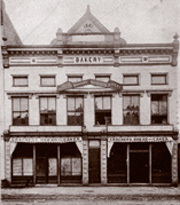 By 1881, Hoerner had taken on a partner named Knopf and was operating in this brick building at 13-15 South Fifth Street. 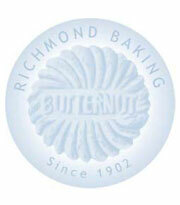 In 1902, a small group of local investors purchased the Hoerner-Knopf bakery, renaming it the Richmond Baking Company. One of those investors, William H. Quigg, became the new bakery's general manager and ran the firm until his death in 1918. The death of William Quigg in 1918 postponed these plans. William's son, Eugene Quigg, took over management of the company. 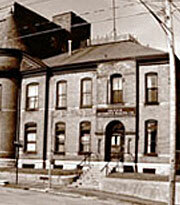 In early November of 1921, the factory and renovation were completed. 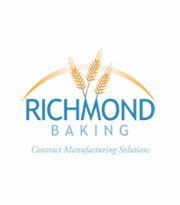 The Richmond Baking Company moved to its new facility at 520 North Sixth Street. 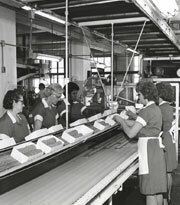 More than 80 years later, the firm's offices are still located in the turreted brick building, and its products are still made daily in the adjoining bakery. The move marked the beginning of a period of prosperity for the bakery under the entrepreneurial leadership of Eugene Quigg. The Richmond Baking Co. produced many brands of crackers, cookies and breads, including Mother's, Kleen-Maid, Golden Cream, Butter Krust, Honey Boy and Cardinal Breads, Blackstone Cookies, Delishus Cake, and perhaps most notable, the Butternut Wafer and Butternut Cookie. 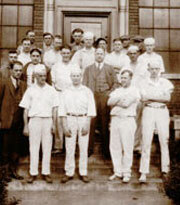 In this photo from the late 1930's, company employees gather near the bakery door. Judging by the worker's flour topped shoes in the lower-right corner, the break for the snapshot was a short one. During World War II, The Richmond Baking Company was contracted by the government to bake the biscuits included in the prepackaged "C rations" issued to every serviceman. 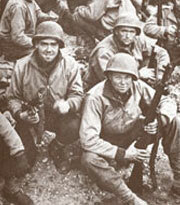 These "ration biscuits' - healthful, whole-grain crackers - weren't exactly loved by the GI's but they got the job done! In 1950, Eugene Quigg died and was succeeded as president by his brother, Robert Quigg. 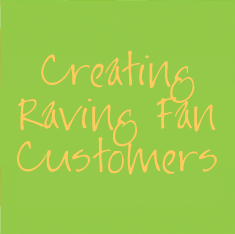 By this time the company's products had changed considerably from those of its earlier days. 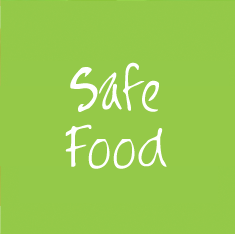 It no longer baked bread for home use, and was contract manufacturing products for other companies, such as Mead Johnson's diet cookie Metrecal and Beech Nut baby cookies. In 1969, Robert Quigg died and was succeeded by his son, James R. Quigg, Jr. One of Jim Quigg's first steps as president was also one of the biggest in the company's history. Jim Quigg authorized the installation of six huge tanks for on-site storage of flour and sugar. Before 1969, the flour was purchased in 100-pound bags that had to be unloaded, transported to the bakery's upper floor, opened, and sifted individually. 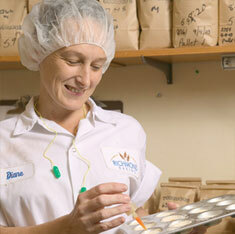 For a bakery that used more than 100,000 pounds of flour each day, the bulk bins were a major money saver. During the 1970s and '80s, the company made an important shift: In addition to making and selling its own baked goods such as cracker and cookies, Richmond Baking Co. began to bake items as ingredients for their customers' food products. These new products included graham meals for cheesecake crusts and crushed crackers for the Midwesterner's favorite pork tenderloins. 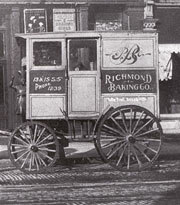 In 2002, Richmond Baking Co. celebrated its 100th anniversary. The company shared its 100th-anniversary with the Teddy Bear, created in 1902 to honor Theodore "Teddy" Roosevelt. 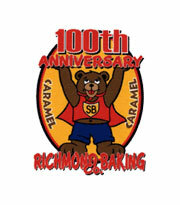 To pay homage to this shared celebration of American history, Richmond Baking Co. adopted Theo the Super Bear, its teddy bear cookie as a symbol. 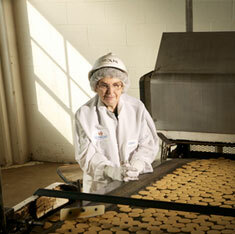 A fitting symbol for the nation's oldest family-owned cookie and cracker company. At the company's Centennial Celebration Jim Quigg announced retirement and made his sons the new managers of the company. 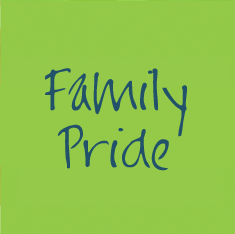 Son, Bill Quigg, is now president, and son, Rob Quigg, named treasurer, making the Richmond Baking Co. family-owned for four generations. 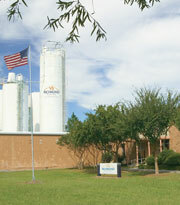 In 2010, Richmond Baking's Richmond, Indiana facility earned an Energy Star Certification as an Energy Star Rated Building and Plant. 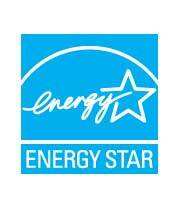 Energy Star is the national mark of excellence in energy performance for facilities that are deemed energy efficient and have a smaller carbon footprint than others in their industry.